I have the setup of Magento2 Store. We are using tier pricing for customer groups. So if the customer is associated with the (wholesale group) and logged in, the customer must see the only wholesale price on the product listing page & product details page. We have the same wholesale price for all sizes, so we need to just pull in the wholesale price for that product. Please find the screenshot for your reference. I think you don't need to manage the product form cost field. 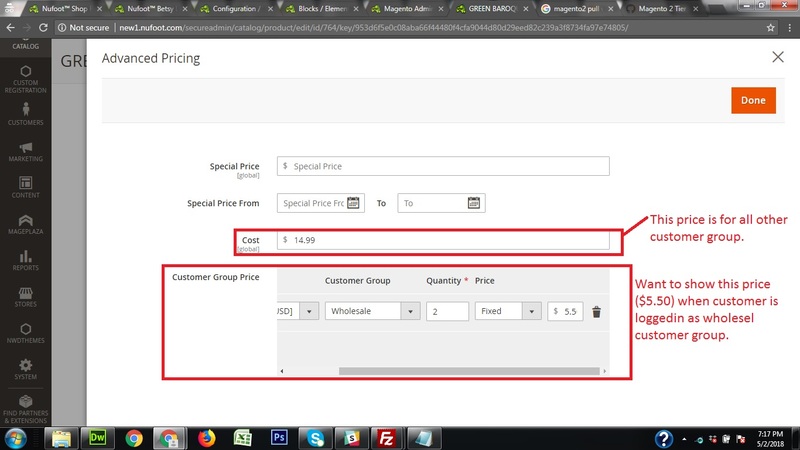 If you will set at Price and manage wholesale group price from "Customer group price" field then you easily manage your requirement. But note that Price field should be greater "Customer group price"'s wholesales group.